In South Florida’s war against the tides, it may be time to recognize that discretion is the better part of valor. 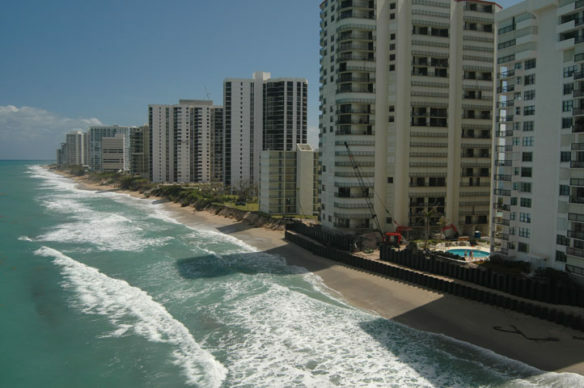 To widen a 3,000-foot stretch of Miami Beach’s shore that was washing away, the U.S. Army Corps of Engineers dumped 285,412 tons of sand on Mid-Beach, a $11.5 million project, funded with a combination of federal, state and county dollars…. Miami Beach has run out of sand. Now what?..